More than a year after its triumphant world premiere in Sydney, Dream Lover finally arrives in Melbourne. Anchored by the extraordinary star turn of David Campbell, the potent, pristine production proves well worth the wait. 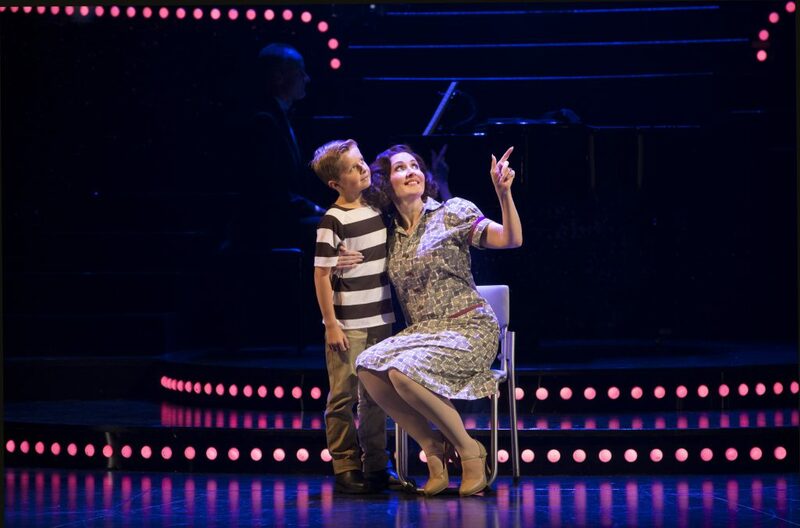 If there was one specific factor over the past few decades that helped to establish Melbourne as Australia’s musical theatre capital, it may just have been the annual Arts Centre summer musical. 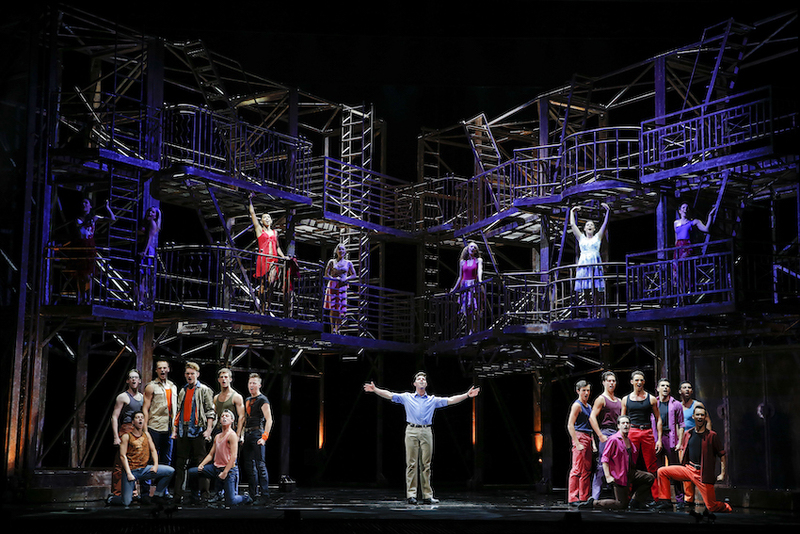 The tradition reached its zenith in the mid-1990s, with lavishly produced stagings of classics such as The King & I, South Pacific and Hello, Dolly!. How appropriate that Marina Prior, a newly discovered star in the first Arts Centre summer musical (The Pirates of Penzance) back in 1984, returns for Dream Lover, the first Arts Centre summer musical in ten years. Long may this re-established tradition continue. A bio-musical with a fascinating central subject, Dream Lover follows crooner Bobby Darin through childhood, rock and roll, Las Vegas, Hollywood and politics. Diagnosed early with a weakened heart, Darin defiantly packed a lifetime’s worth of living into his 37 years. In bringing the project to fruition, director Simon Phillips and partner Carolyn Burns have collaborated with Frank Howson to adapt the original stage play by Frank Howson and John Michael Howson. The result is a slick, though somewhat lengthy, affair that benefits from Phillips’ assured hand with new musicals. The streamlined storytelling is deftly woven into snippets of songs, many of which have been carefully chosen and positioned to connect to the plot. 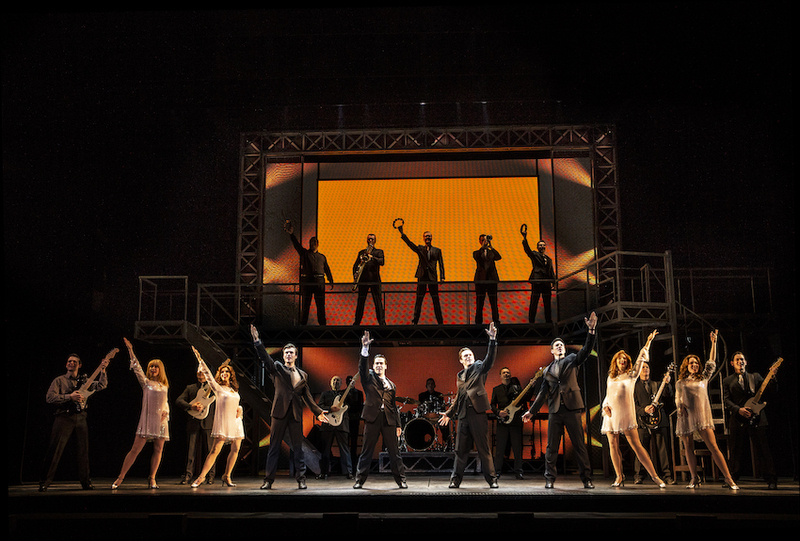 If the resulting effort does not hit the heights of Jersey Boys (the gold standard for bio-musicals), the music, production and talent on stage still provide plenty of enjoyment. The jukebox score expands upon the significant contribution of Darin’s own songs to include a total of almost 50 songs from the 1950s and 1960s. 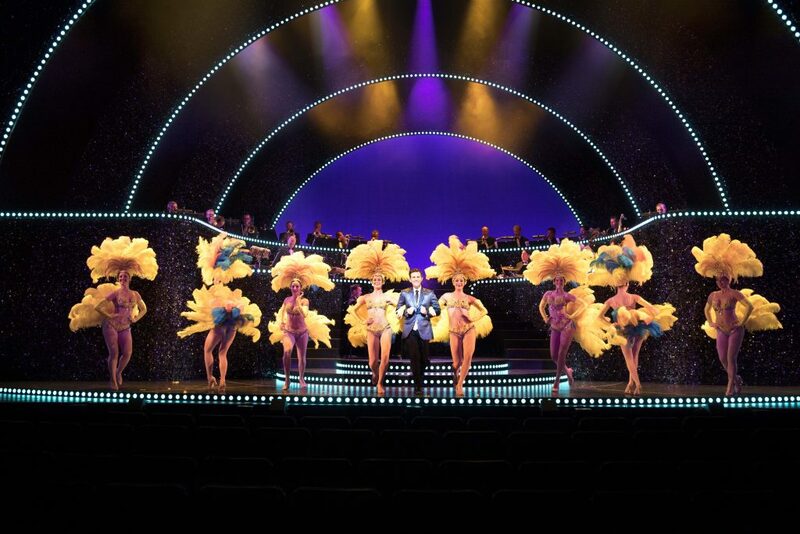 The quality of the music is a massive aspect of the show, and fans of the era will be in heaven listening to Guy Simpson’s superb brassy arrangements for the 18 musicians on stage. 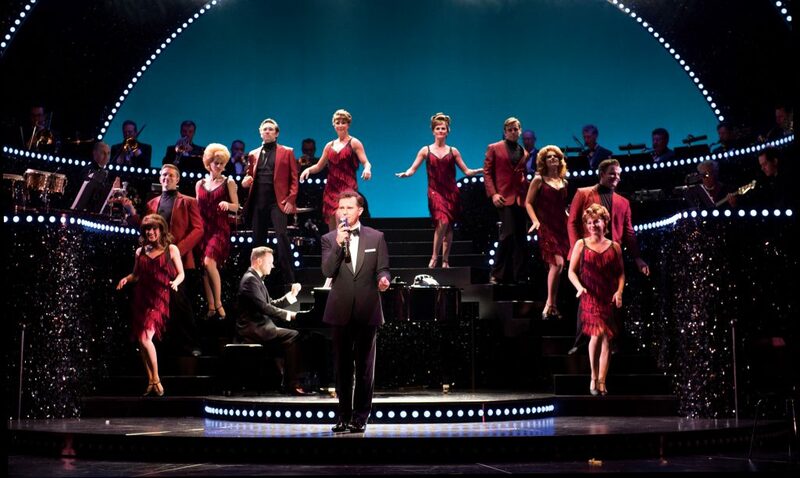 Positioned centrally on the stage, musical director Richard Montgomery is practically a member of the cast as he conducts and plays piano with great style. Choreographer Andrew Hallsworth creates a dazzling dance vocabulary for the hard-working ensemble, referencing the angular, highly physicalised movement of the 1960s and adding liberal doses of slinky, seductive style. 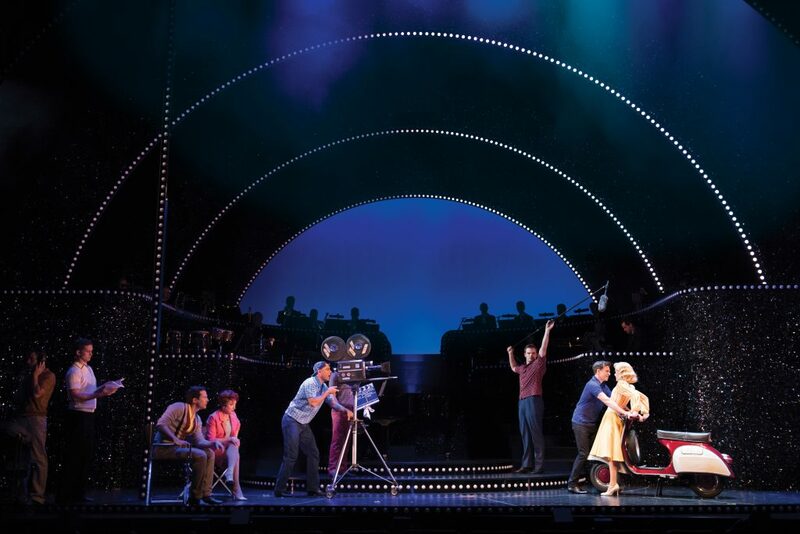 Dream Lover is a superb fit for the State Theatre, with Brian Thomson’s sparkling tiered bandstand set grandly filling the space. Paul Jackson’s lighting is also key to the glossy design, with scores of merrily coloured globes creating mood and location within the single set. Given the static nature of the set, Tim Chappel’s lavish, vivid costumes position the story through time while also adding wonderful visual appeal. Highlights include the black and white television effect of early rock and roll and the lavishly feathered showgirls of Las Vegas. Campbell is in supreme form throughout, managing the epic role with finely calibrated control and seemingly tireless lungpower. Campbell offsets Darin’s tendency towards arrogance and recklessness with a disarming natural manner and effortlessly debonair charm. The depth in Campbell’s portrayal is seen in the subtle changes of body language and expression as Darin moves through the various phases of his career. Campbell deserves every plaudit for this superb performance, which is a chief attraction of the show. Prior proves an invaluable member of the cast, having the abundant talent and experience to confidently play opposite Campbell. Following the terrific opening number, “Mack the Knife,” the whole show could suddenly fall flat without a knockout actress as Darin’s mother Polly. Prior gets the early exposition off to a lively start, and demonstrates her versatility in creating a totally distinct second character as Sandra Dee’s controlling mother, Mary Douvan. Prior also shows the width of her vocal range, singing with an earthy chest voice rather than her trademark high soprano. Hannah Fredericksen captures the fragile beauty of Sandra Dee, skillfully conveying the bubbling insecurities behind the persona of the glamorous young movie star. With little dialogue, Fredericksen unveils a lifetime of joy, pain and recovery for the star as the years pass. 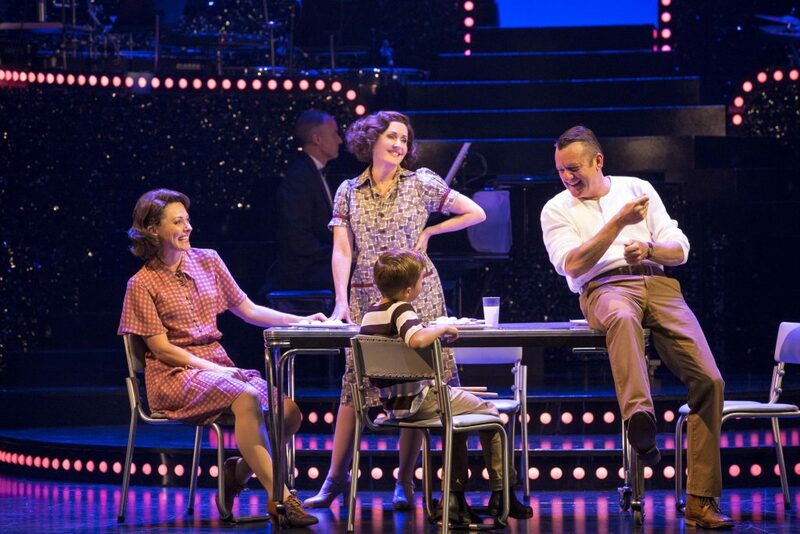 Marney McQueen, as Bobby’s sister Nina, is joined in Melbourne by Rodney Dobson, as Nina’s partner Charlie. While these initially appear to be somewhat thankless roles, McQueen, in particular, has a vital role in act two when Nina reveals a family secret. McQueen’s rendition of “More” at this point, briefly joined by Prior as the spirit of Polly, creates a scene that is the emotional heart of the entire show. Martin Crewes retains the vitality and charisma that add interest and magnetism to the role of Bobby’s long term manager and friend Steve Blauner. 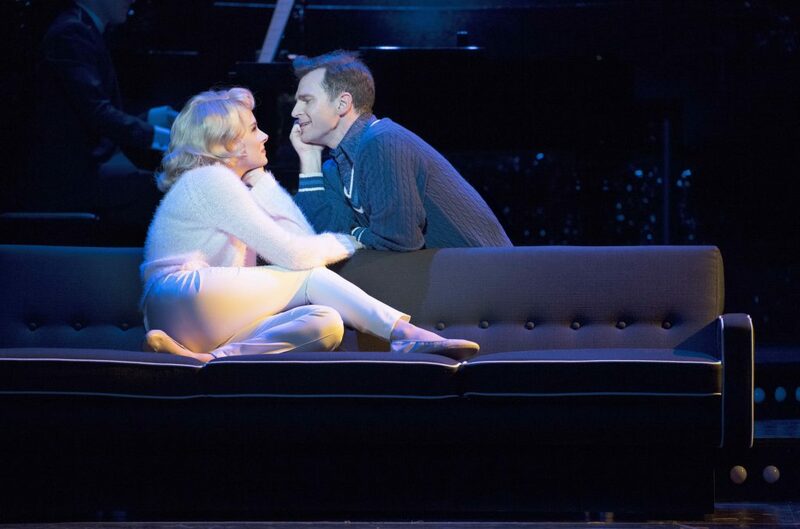 A bonanza for baby boomers, the talent and glamour on show in Dream Lover make it a luxurious trip down memory lane. 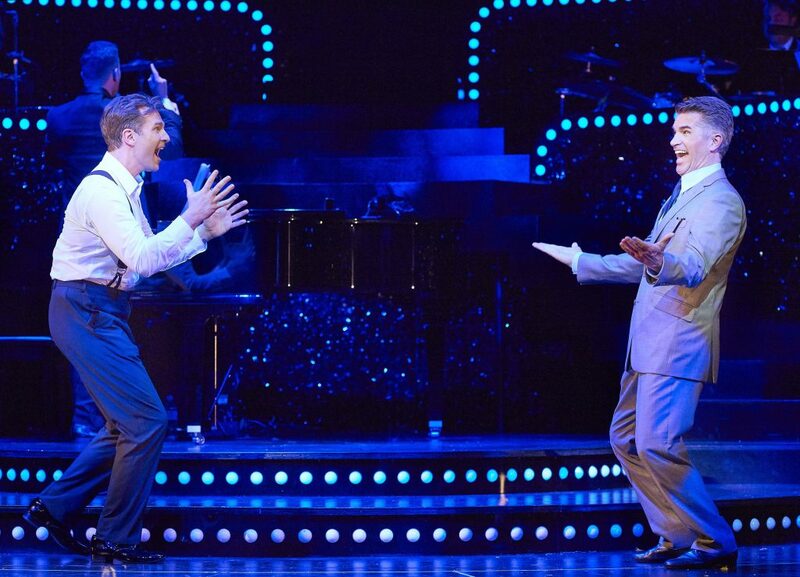 Audiences will be left humming the hits for days. Dream Lover plays at State Theatre, Arts Centre Melbourne until 1 March 2018. Man in Chair also reviewed the original Sydney season of Dream Lover. More photos of Dream Lover can be seen HERE.